Since 1989 we’ve helped insurers and businesses in Houston to fight fraud. Need help? Call 281-440-0800. Insurance fraud can be financially cancerous for the insurer. Gradoni & Associates conducts professional and discrete video surveillance for insurance companies, insurance defense law firms and self-insured businesses who believe themselves to be victims of insurance fraud. Our investigators will uncover the truth about claimants believed to be exaggerating their injuries or their grounds for an insurance claim, and will provide our clients with a full comprehensive report of the uncovered information. If you’re looking for a reputable private investigator in Houston to perform investigation related services for the purpose of fighting insurance fraud, contact us today for a free & confidential consultation. Our phone number is 281-440-0800. The most common forms of insurance fraud involve automobiles. They’re either the subject of a fraudulent theft, or a fraudulent accident. One of the most notable cases of auto insurance fraud in Houston involved a 2 million dollar insurance policy & a million dollar Bugatti. Read more on the Bugatti story at the Houston Chronicle or read our blog posting about our involvement in the investigation. According to the FBI’s statistics, insurance fraud accounts for over 40 billion dollars in losses annually. With insurance fraud on the rise in the US, that number is expected to rise. Auto Accidents – Sometimes, even the witnesses & insurance investigators/adjusters of the accident are in on the scam. Auto Damage – Cashing the insurance check and not getting the car fixed is fraud. Unnecessary Medical Procedures – This is how doctors and medical establishments commit their best frauds. Planned/Staged House Fires – This form of staged vandalism is main mechanism for carrying out homeowners insurance fraud. Renter’s Insurance – There have been cases where the renter sold their possessions, prior to moving, only to claim theft and attempt to defraud their insurer. Storm Claims Fraud – This type of fraud is when a homeowner helps the weather to damage their home, or acts to compliment damage done to the property by weather events. The ultimate goal; getting a larger payout from the insurer. Faked Death – We’ve seen it before. A criminal takes out a life insurance on himself and names his spouse or another trusted party as the beneficiary. During our numerous insurance fraud investigations we’ve captured, on video, claimants performing duties they claimed to be unable to perform as a result of their injuries. We’ve assisted insurance companies in Houston in the investigation of individuals, attorneys, doctors and medical clinics believed to be involved in the organized submission of fraudulent claims. 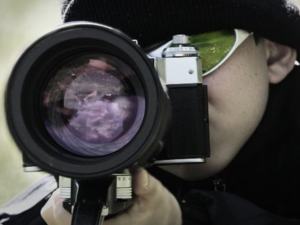 Our services include, but are not limited to surveillance agents with camera equipment, which enables them to obtain clear identifiable video from a distance to prevent detection, and undercover cameras to film claimants inside buildings. Our professionally trained field investigators conduct background investigations on claimants aimed at identifying previous claims and credibility issues. Our staff is considered “the best” at locating and taking statements from witnesses. All of our investigators have experience providing useful testimony in court. Listed below are our clients of ours, whether former or current, who have sought out Gradoni & Associates for investigative services related to insurance fraud solutions. U.S. Department of Veteran Affairs. Listed below are a few random blog entries that were derived from our Private Eyes of Texas Newsletter which are related to insurance fraud investigations.